Interestingly, our impatience is not only growing offline. The online world has similarly proven to be capable of firing our impatience as well. We are starting to grow impatient of the very same invention that had once given birth to the intense exigency for speed. It seems that our impatience can sometimes grow at a rate higher than what the web itself can actually handle. 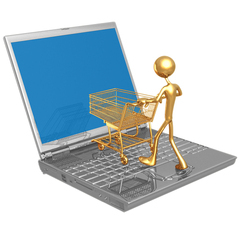 A survey has shown that 70% of internet users would lose it if a web page takes more than one minute to load (Schmid). I believe that at this stage impatience has reached an extreme level and frankly I feel sorry for the web that keeps getting yelled at by our impatient and ungrateful generation. I think that when one minute feels like infinity, we need to realize that there’s a serious problem. Sometimes, online shoppers get so annoyed that they cancel the order and go to the store and buy it instead. It is true that those multiple screen steps are annoying sometimes and that many of the questions really are dumb and that they make one feel like Amazon is not being as efficient and as smart as it should be. But at the end of the day, we ARE dealing with a machine and it’s a stupid machine that does only what it was programmed to do so let’s not be too hard on it! I don’t think that my annoyance with the presence of too many steps would lead to the point of deciding to order offline. That would be irrational, instead of wasting a few extra minutes on some dumb questions, I will be wasting an hour in traffic jams and 15 minutes by standing in a possibly long queue. It would be like choosing to waste the extra effort to climb 10 stories up on foot just because we have waited one minute too long for the elevator to arrive. It is apparent that our impatience has grown to a ridiculous level where one minute for a page to load a few dumb questions in an online shopping process become insufferable! What’s ironic is that the internet is believed to have been a major factor in fueling our impatience in the first place and now it can’t keep up so we start rebelling against it! But let’s not forget that the internet was man’s invention in the first place. At this point, we must investigate whether the origins of this race was started by machines or humans, the answer would definitely be men who themselves created the machines. And the exigency has always been that growing need for speed. But it seems that we forgot how much speed is enough and impatience has come to be a perceived virtue. 1. "Benefits and Drawbacks of the Internet as a Research Source.” The Nigerian Lawyer. 24 June 2008. Web. 25 May 2011. 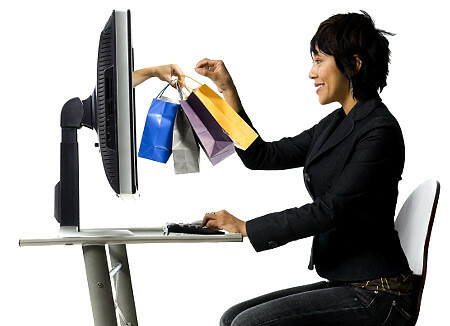 <http://nigerianlawyer.wordpress.com/2008/06/24/benefits-and-drawbacks-of-the-internet-as-a-research-source/>. 3. Schmid, Mark. "What’s Your Point of Impatience?" Web log post. Talktalkblog. TalkTalk, 7 Dec. 2009. Web. 10 May 2011. <http://www.talktalkblog.co.uk/2009/12/07/what-s-i-your-i-point-of-impatience/>.